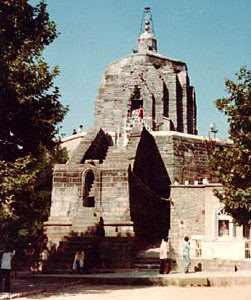 The Shankaracharya temple is located in the district of Srinagar, on the hill known as Takht-e-Suleiman. It lies at an altitude of 1100 meters on the hill above the surface of the main city. It is said that Raja Gopadatya built the temple in 371 BC, giving the name of Gopadri. The great philosopher Shankaracharya stayed here during his visit to Kashmir in Sanatan Dharma have to revive. Lagging behind the incident the tenth centuries led to the renaming of the city, as Shankracharya temple. 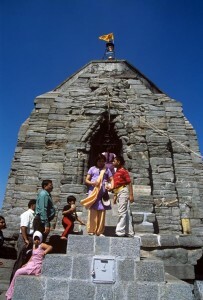 The Shankracharya Temple in Kashmir, India is dedicated to the god Shiva and is considered the oldest shrine in the Kashmir valley. The temple is, as it is today, subject to many repairs throughout its life. The first repair should have done under the rule of Lalitaditya. The second was Zain-ul-Abideen after the temple was damaged by an earthquake. These repairs were during the reign of Sheikh Mohi-ud-Din. The Dogra ruler Maharaja Gulab Singh has built the stone steps, that is the part of the passage recognized from the chapel. In 1925 the electrification of the Shankracharya temple was made. The temple is very important not only from the standpoint of religion but also in architectural terms. One platform supports high octagonal temple, went through a distance of about one hundred meters. The side walls of the measures already provided some valuable engraving. There is a Persian engraving inside the temple, which resembles Emperor Shah Jahan ruling. The main temple, which consists of a circular cell, offers a wonderful view over the valley. The interior of the Shankaracharya temple, after they repaired, is now covered by a modern roof. REGARDING SHRIMAD GAUDAPADACHARYA MUTT SHANKARACHARYA OMKARESHWAR DATING SHANKARA RELATION WITH SHANKARITE PEETHAMS SARASWATHS Etc.